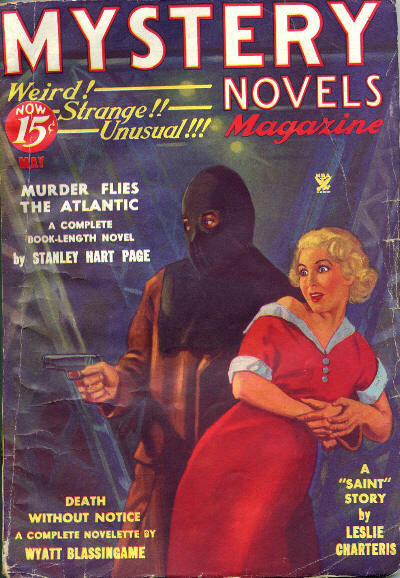 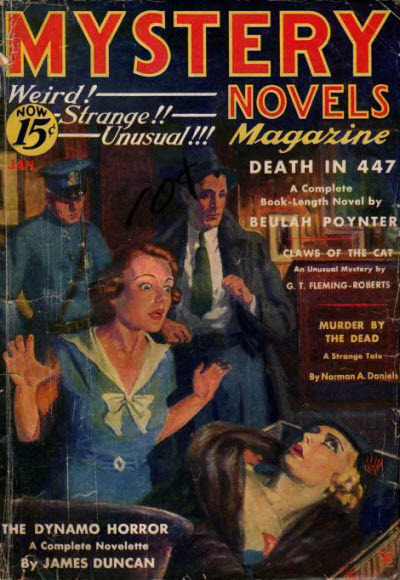 Initially a giant-sized, 256-page, quarterly, the magazine changed hands after only 8 issues and shrank to 128-page issues, with an emphasis on weird crime. 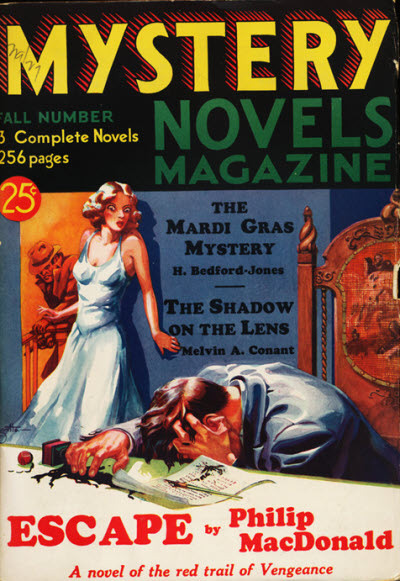 Although the new publisher claimed their magazine was not a continuation of the previous one, the issue numbering is continuous throughout. 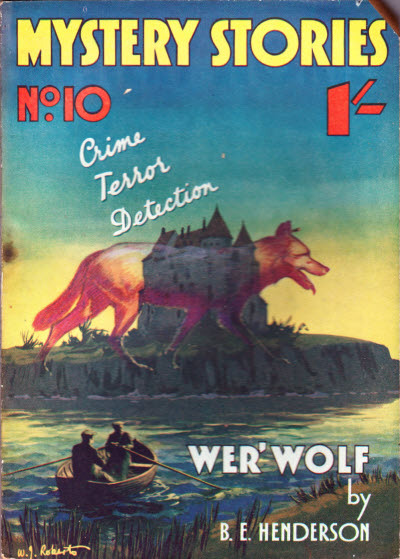 After a further 9 issues it changed to a frontier adventure magazine called Real Northwest Adventures which is not indexed here. 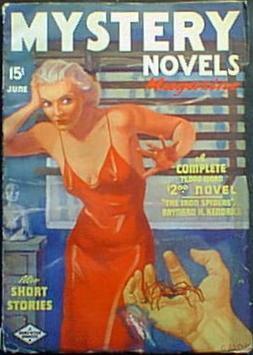 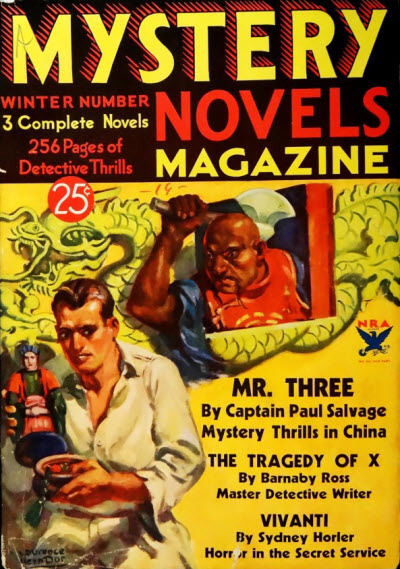 2 · The Bishop of Shanghai · H. Bedford-Jones · n.
Title changed from Mystery Novels Magazine Quarterly. 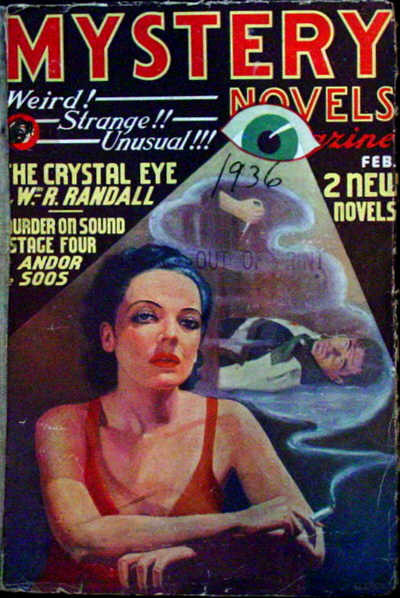 --- see under Mystery Magazine. 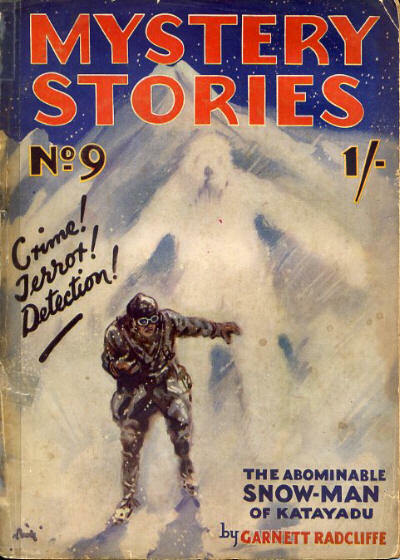 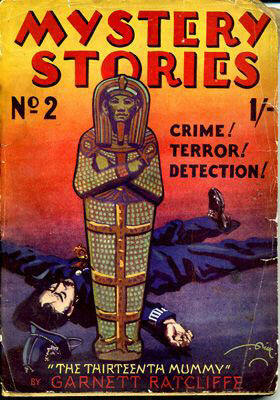 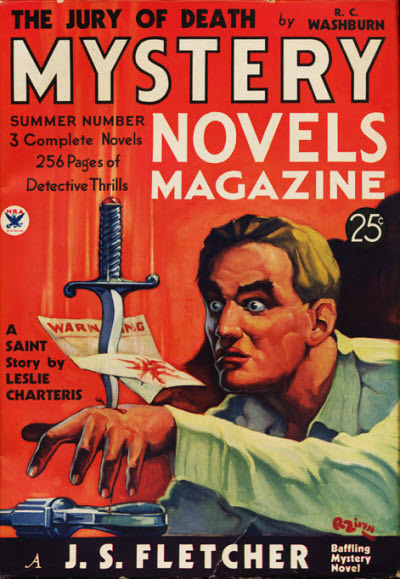 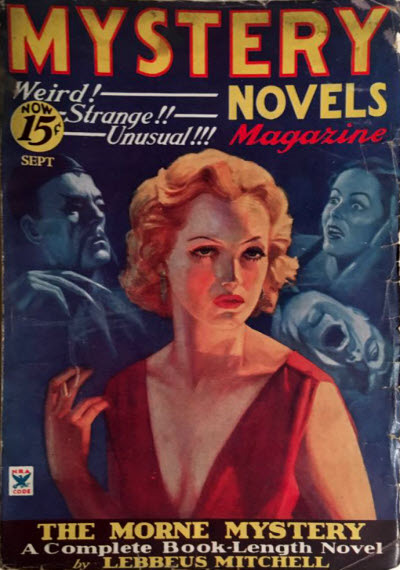 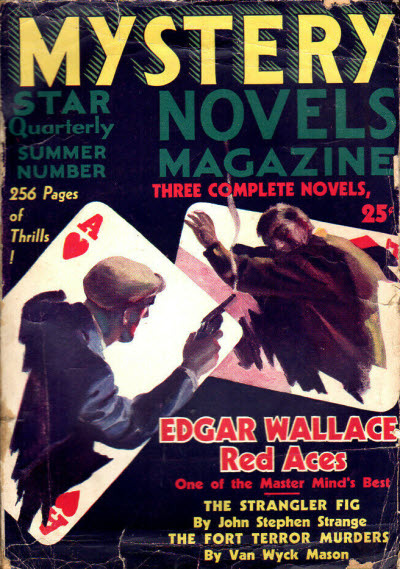 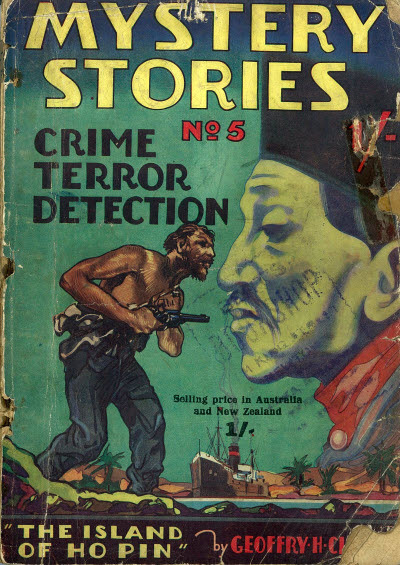 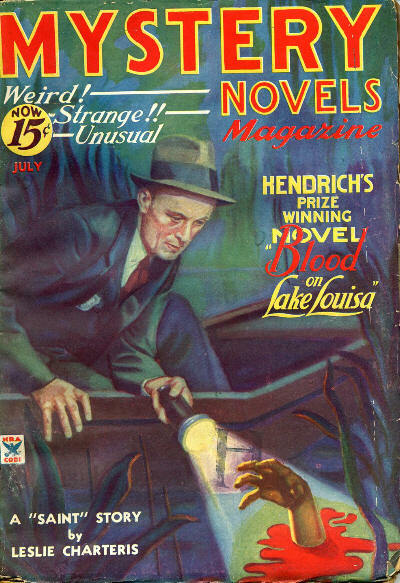 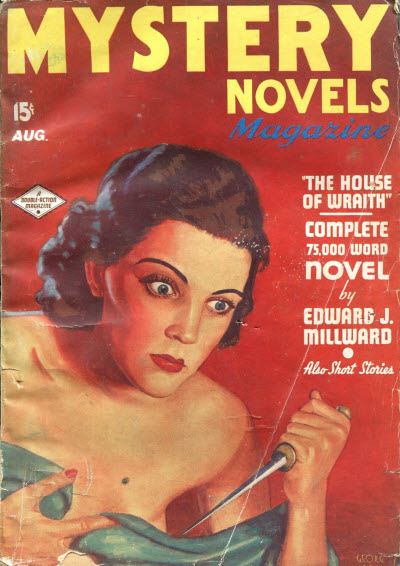 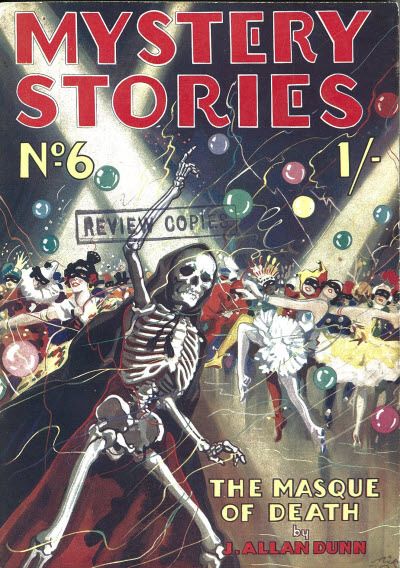 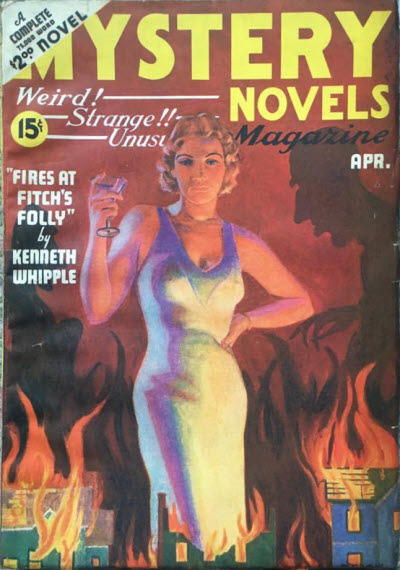 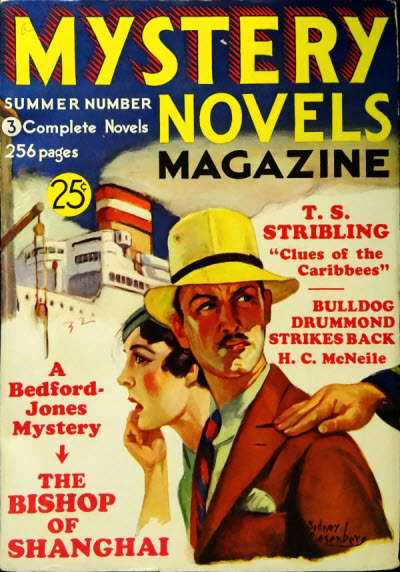 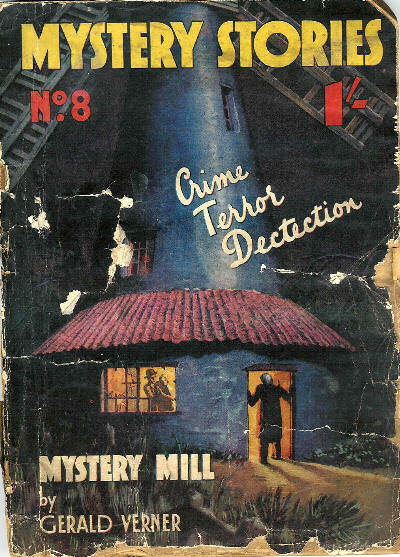 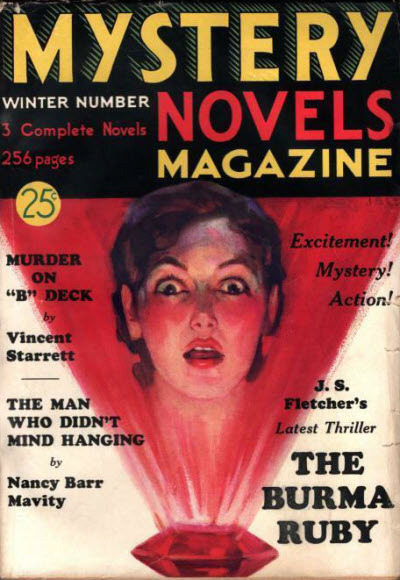 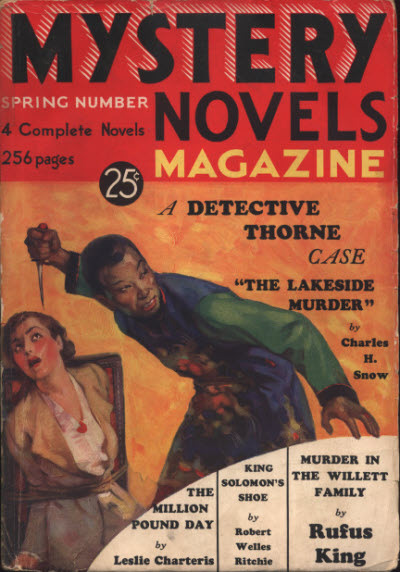 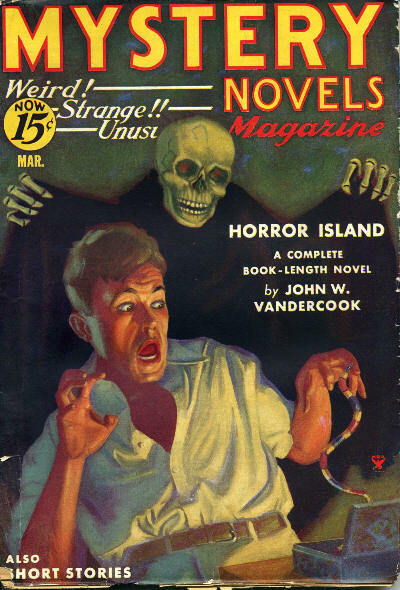 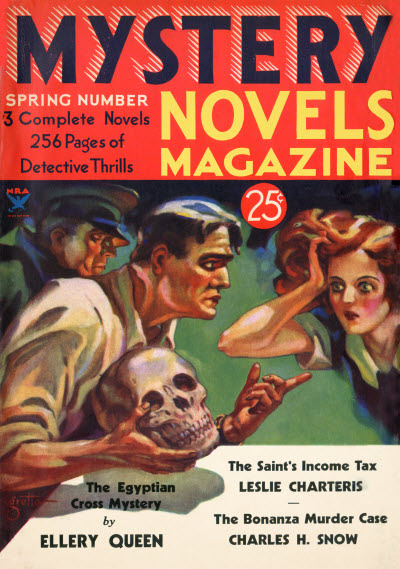 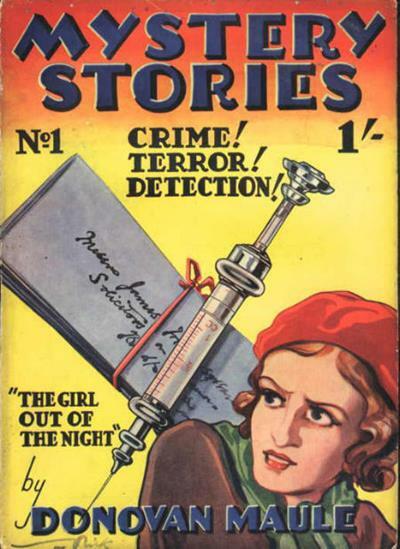 A companion title to Mystery and Detection, Mystery Stories was a mixture of new stories and reprints, but drew mostly from lesser-known British sources or American pulps. 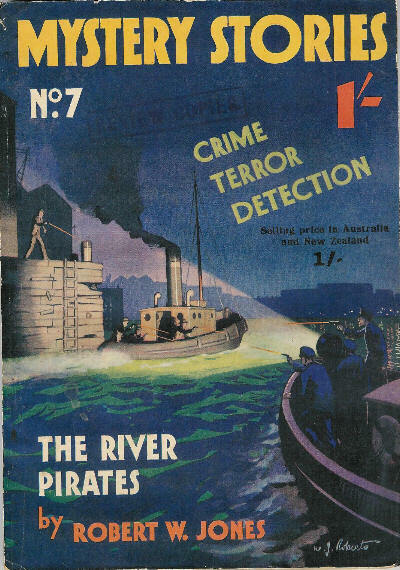 3 · The River Pirates · Robert W. James · nv; given as by Robert W. Jones on the cover. 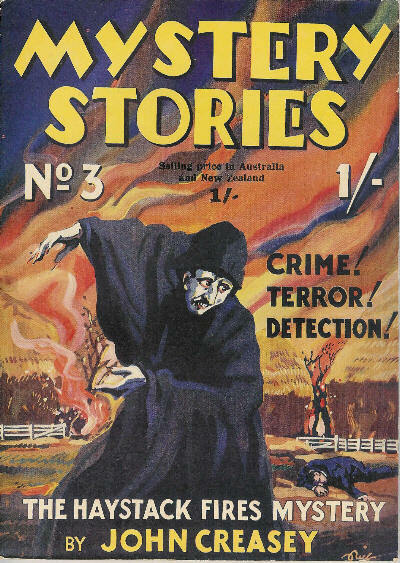 Subtitled A Selection of Thrilling Tales of England by British Writers. 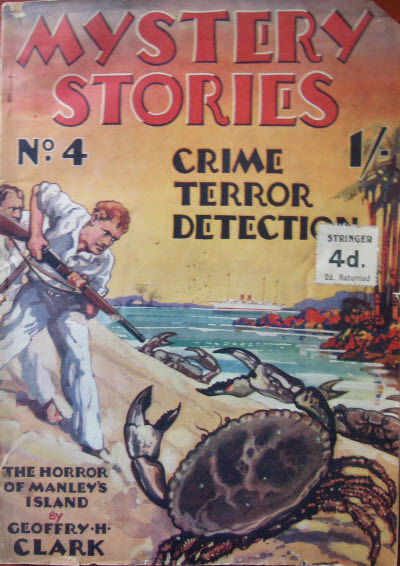 Details supplied by Alistair Durie. 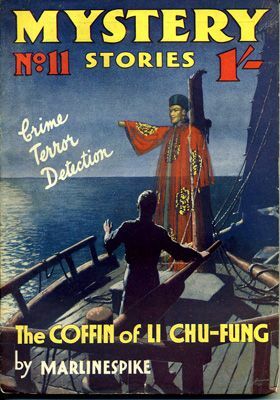 3 · The Coffin of Li Chu-Fung · Marlinspike · ss; given as by Marlinespike on the cover.